Time For Germany To Ban Exotic Animals In The Circus!! Enough Is Enough!! 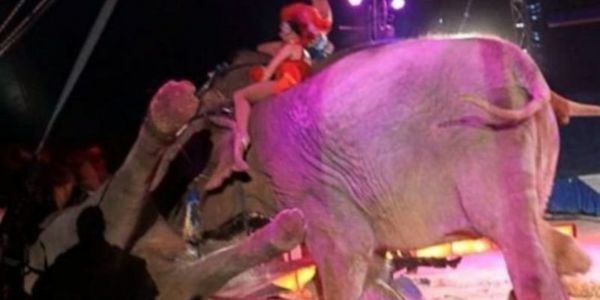 In a recent accident at Germany's Circus Krone two circus elephants panicked and charged into another elephant during a performance, sending the animal tumbling off the stage and crashing into the crowd. The elephant who fell suffered a swollen leg from the traumatic ordeal. Circus Krone has a shocking 200 captive animals, including elephants, lions, tigers, camels, monkeys and a rhinoceros. Why are we still allowing this to continue? I say Enough is Enough! The European Union has left it up to the individual member nations to ban exotic animal acts. Most European countries have already banned the use of wild animals in circuses, but Germany is one of the few who still allow this cruel exploitation to continue. Please join me in signing this petition and saying to Germany: "Enough is Enough!" We demand that German Chancellor Angela Merkel ban exotic animal acts! !